You’re reading novel Chaotic Sword God Chapter 819: Fierce Battle With Living Corpses (One) online at LightNovelFree.com. Please use the follow button to get notification about the latest chapter next time when you visit LightNovelFree.com. Use F11 button to read novel in full-screen(PC only). Drop by anytime you want to read free – fast – latest novel. It’s great if you could leave a comment, share your opinion about the new chapters, new novel with others on the internet. We’ll do our best to bring you the finest, latest novel everyday. Enjoy! Jian Chen sighed deeply as he looked at the familiar surroundings. he felt a wave of lingering fear as soon as he thought about the situation before how they had fallen into the Saint Ruler killing formation. The killing formation was capable of wiping out any and all Saint Rulers—even Ninth Heavenly Saint Rulers would struggle to survive if they fell into it. The formation was still extremely powerful despite having grown weaker with the corrosion of time. He was actually unable to break his way out at all with his attacks at the Fifth Heavenly Layer. If it were not for the fact that he was with the Heavenly Enchantress, Jian Chen really did not have any idea of how he would have been able to escape. Even if he did not die, he would be greatly injured. “The Fantasy Star Ocean really is terrifying. Those Saint Rulers-turned living corpses after they died here are already terrifying enough, but compared to the formations, they seem like a piece of cake,” Jian Chen thought. He feared the power of the formations very much. If he had encountered living corpses of similar, he could at least escape if he could not fight them. After all, the living corpses possessed no intelligence; they were easy to deal with. On the other hand, formations were capable of creating a world of its own when someone fell into it, a whole separate domain, sealing off all means of escape. The only way would be to break through the formation, and if the person was not strong enough for that, their only choice was to receive its destructive attacks. Perhaps because they had broken their way out of the formation, hand-width cracks covered the ground of a radius of five kilometres. The cracks formed a circle, seemingly perfectly outlining a complicated pattern. “The formation here was cast down by experts of the Dragon clan. It’s extremely well-hidden, so it can catch people completely off-guard. We need to be careful in the future. It’s fortunate that the formation just then was not as powerful as before, or it wouldn’t have been that easy to break free from it.” The Heavenly Enchantress said indifferently. Jian Chen nodded sternly. His fear for the formations was even greater than the Heavenly Enchantress’s. Several powerful presences quickly flew over from the distance at that moment. Saint Ruler living corpses were attracted here by the commotion, hurrying over from all directions. Jian Chen and the Heavenly Enchantress immediately erased their presences completely before shooting off silently. The living corpses all behaved instinctively; they were unable to perceive things visually, unable to see anything. They completely relied on sensing foreign presences and activity to search for living organisms. Jian Chen and the Heavenly Enchantress travelled far from where they were before. Living corpses that hurried over in the meantime, from everywhere. They all stopped where the two of them were before lifelessly. They paced about mindlessly, without dispersing for a very long time. The two of them advanced carefully, where the Heavenly Enchantress discovered traces of many formations and a few living corpses, both human and magical beast. They kept a wide distance from them, so the journey was frightening, but without any harm. The two of them did not dare to fly too quickly at all. They had only traversed less than two thousand kilometres in over half a day, still in the outskirts of the Fantasy Star Ocean. They had not even reached the general region of the island. The sky, concealed by a thick layer of fog, darkened slowly—the darkness of night filled up the Fantasy Star Ocean slowly. Weirdly enough, both of them were unable to see in the darkness of the Fantasy Star Ocean, which caused the range of their vision to shrink constantly. “Junior knows virtually knows nothing about the circ.u.mstances here. Junior will follow with whatever decisions senior makes,” Jian Chen replied calmly. Afterwards, Jian Chen and the Heavenly Enchantress spent over an hour to find a cave that was s.p.a.cious enough. The cave curved about inside and was about a hundred meters long, so they did not fear that they would be seen inside. At the end of the cave, the Heavenly Enchantress produced a fist-sized luminous pearl from her s.p.a.ce Ring and lodged it into the roof of the cave. It shone with a gently light, illuminating the darkness. In the Fantasy Star Ocean, the living corpses were extremely sensitive to any ripples of energy ripples as well as objects that never usually appeared in the Fantasy Star Ocean. This was why they could not light a fire. The heat and smoke would travel outside and draw in the living corpses. The only way for light was through the luminous pearl. The Heavenly Enchantress sat down and slowly closed her eyes after lodging the pearl in place. She paid no attention to Jian Chen. Jian Chen also found a clean part of the ground and sat down with his legs crossed. He glanced to his side, to the purple-dressed Heavenly Enchantress who always kept her face concealed. He could not help but think about the first time he met the Heavenly Enchantress. He immediately became depressed. He still remembered the first time they had met. It happened in the holy land of Mercenary City several years ago. He was just an unremarkable Earth Saint Master at that time—even a Heaven Saint Master would view him as an equal, let alone Saint Rulers. Now that a few years had pa.s.sed, he had grown from the original, puny Earth Saint Master to his current level of cultivation. He stood on equal ground with Saint Rulers, and had even battled alongside the beautiful Heavenly Enchantress. Jian Chen would have never even thought of this if it were before. Even when he thought back now, he still felt like he was living in a dream. Jian Chen sighed deeply and slowly calmed himself down. Looking away from the Heavenly Enchantress, he cast away the distracting thoughts in his mind and began to look into his body’s situation. Inside Jian Chen’s dantian, his Chaotic neidan had clearly shrunk by another portion from the soybean size it was before from the usage in the Saint Ruler killing formation. Even less Chaotic Force remained. The chaotic neidan would definitely disperse after all the Chaotic Force was consumed if he were to continue fight so intensely a few more times. Understanding his chaotic neidan’s situation, Jian Chen furrowed his eyebrows tightly. Chaotic Force was the source of his strength. If he lost it, he was only as powerful as a First Heavenly Layer Saint Ruler. And with the suppression of Saint Ruler abilities in the Fantasy Star Ocean, his strength would suffer another big hit. He would not be able to survive in the danger-ridden Fantasy Star Ocean at all. As he thought, Jian Chen became rather perturbed. He stood up and walked towards the exit of the cave, planning to get some fresh air. At that very moment, a chime-like voice appeared from behind him. Jian Chen abruptly stopped and looked backwards as he heard it. The Heavenly Enchantress had already opened her eyes. Her limpid eyes seemed to contain ripples like autumn water, staring at Jian Chen with a bewitching charm. “Senior, don’t worry. I know what I should do. I’m not going to mess around with my life.” Jian Chen laughed gently, before concealing his presence. He walked outside silently. It was already pitch-black outside the cave. The sky was dark, devoid of any stars. Jian Chen’s vision was affected by the darkness in the Fantasy Star Ocean as well; it was not as bad as the fog where his hand would leave his range of vision if extended, though it was still limited to only several hundred meters. Deathly silence lingered in the surroundings, with no sound at all. It was as if only the Heavenly Enchantress and him were in the entirety of the Fantasy Star Ocean without any other traces of life. Jian Chen sat down on a rock to the side. He did not make any sound at all. He sat in thought, mulling over some matters. Suddenly, Jian Chen’s ears twitched slightly. Soon after, a gleam of light immediately flickered in his dull eyes. He suddenly raised his head and stared fixedly into the distance, becoming grim in that very instant. A while later, several dark figures slowly emerged in Jian Chen’s vision range. They travelled on the ground, walking directly in Jian Chen’s direction with walking speed. Their movements were stiff like machines. Jian Chen’s expression changed greatly. He became extremely stern, and carefully sucked in all of his presence. He silently got off the rock and slowly backed away as he watched the figures from hundreds of meters away, directly backing into the cave. “c.r.a.p, they’ve actually come for the cave.” Jian Chen was shocked. He rushed to the end of the cave without any hesitation. He needed to tell the Heavenly Enchantress about this. Perhaps she had sensed Jian Chen’s hurried steps, the Heavenly Enchantress had already opened her eyes when she arrived at the end of the cave. She stared at him brightly. The Heavenly Enchantress always maintained her vigilance in the always-dangerous Fantasy Star Ocean. “c.r.a.p senior, there’s a few Saint Ruler currently heading towards the cave.” Jian Chen immediately communicated via a technique. Hearing that, the Heavenly Enchantress’s expression changed abruptly. She stood up suddenly, eyebrows furrowed and expression grim. She could handle a few fallen Saint Ruler living corpses, but it would definitely lead to a great commotion once they began fighting. It would alert even more living corpses, and it was night right now. Visibility in the Fantasy Star Ocean was too limited, while the dangers were unknown. It was even more dangerous than fleeing in the day. “Just how far are they from the cave?” The Heavenly Enchantress replied with a communication technique. Her tone was stern. “Around five hundred meters.” Jian Chen replied. Neither of them dared to speak aloud. “This cave must have been where they once stayed. 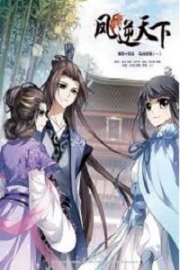 Quickly, we need to leave here immediately.” The Heavenly Enchantress showed no hesitation, running towards the outside with the zither in her arms while Jian Chen followed closely behind her. 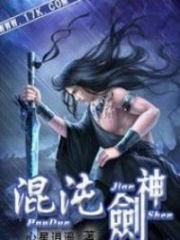 You're reading novel Chaotic Sword God Chapter 819: Fierce Battle With Living Corpses (One) online at LightNovelFree.com. You can use the follow function to bookmark your favorite novel ( Only for registered users ). If you find any errors ( broken links, can't load photos, etc.. ), Please let us know so we can fix it as soon as possible. And when you start a conversation or debate about a certain topic with other people, please do not offend them just because you don't like their opinions. You're reading Chaotic Sword God Chapter 819: Fierce Battle With Living Corpses (One). This novel has been translated by Updating. 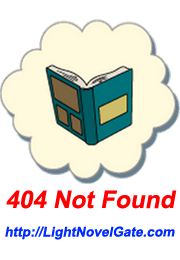 Author: Xin Xing Xiao Yao already has 9414 views. Current Time is Apr-23-2019 00:08:47 AM.